Google is trying out a new interface for GMail called Inbox. I asked for an invite and received one that day. Clearly the design has been lifted from Google+. It’s all circles and material design. At first, I didn’t like it because it was too full. Then I discovered a new way to “Archive”. However, I got the hint from Inbox, that the interface makes that task slightly easier and the UI is better if your inbox is empty. I went into GMail and did a mass archive of my inbox. There were thousands of messages. Now, it’s all neatly tucked away. I went back into Inbox and the UI looked alot cleaner. I started using it more. It’s on my phone, my iPad and my desktop. It’s a consistent and pleasant experience. The truth is that isn’t not radically different than GMail. However, the little things make a difference. The graphics are nicer, just plain nicer. The “Done” action is much more satisfying than the “Archive” action. It’s the same idea, but “Done” feels better when I click it, whereas “Archive” felt like an unneeded step. I get closure with “Done”. Additionally, the bundling of the other categories is more elegant than in GMail. When you have a system like Marketo, there are a thousand features. You can’t spend all month thinking about the wording of one action. However, when you design a system like GMail/Inbox, you HAVE to obsess about those details. They make a huge difference. 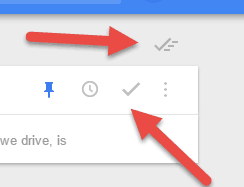 Nice job on the UX Google! Note: I recently spend 4 hours with my team over the week debating what to call a different mode of landing page design. It’s good for the design soul.